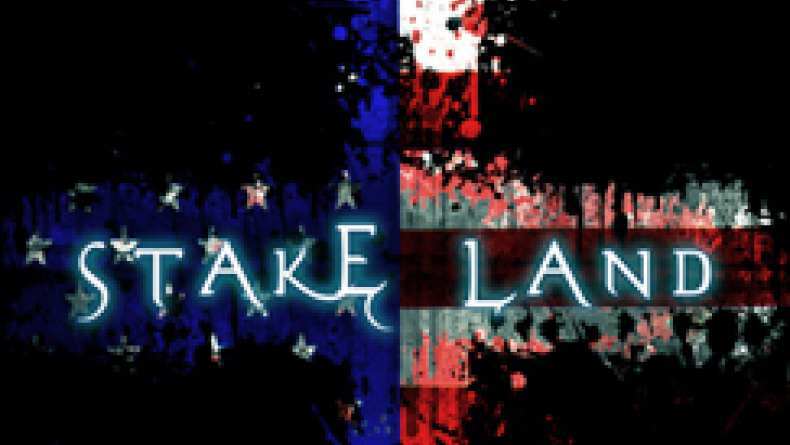 The teaser trailer for Stake Land. In a fierce, alternative vision of America’s bleak future, a young boy is about to learn how cruel the world can become. Martin was a normal teenage boy before the country collapsed in an empty pit of economic and political disaster. And from the ashes rose a new breed of terror. A vampire epidemic has swept across what is left of the nation’s abandoned towns and cities, and it’s up to Mister, a death dealing, rogue vampire hunter, to get Martin safely north to Canada, the continent’s New Eden. With his family slaughtered and his world splattered across the backroads of the nation’s northeast, Martin is taken under the wing of this mysterious stranger, learning the ways of the hunt and the cold reality of survival in a world left to fend for itself. Along their journey Mister and Martin discover firsthand the horrors of small town American extremism and are forced to ponder which is more bloodthirsty— the starving vampires or the corrupted humans who seek to control them. Armed with a trunk full of wooden stakes and a desperate will to stay alive, Mister and Martin make their way through locked down towns, recruiting fellow travelers along the way— a devout woman of god, an abandoned Marine, and a pregnant musician all on their way north to safety. But a nationwide Brotherhood of violent, end-of-days survivalists is just one obstacle that stands between them and freedom.